News and Events - Granite Lake Association, Inc. 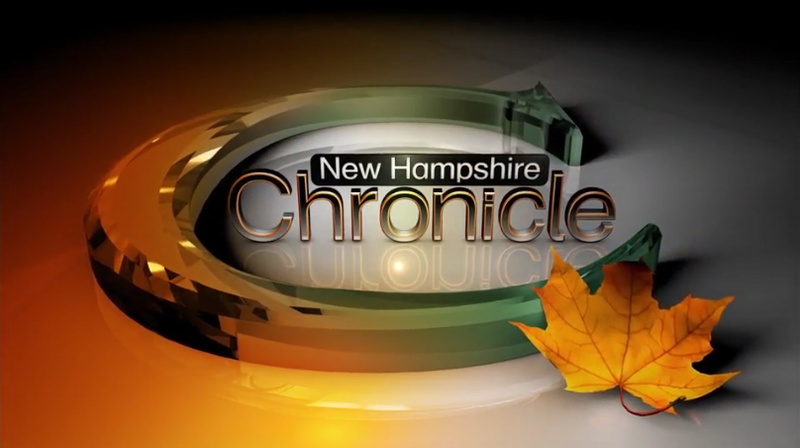 Granite Lake was recently featured in the Season 18 Premier of New Hampshire Chronicle! Minutes of 2018 meeting will need to be approved at the July 20, 2019 meeting. Thank you Jeremy Wilson, Executive Director of the Harris Center, for informing us about the Granite Lake Watershed Conservation project. This project will help us maintain our excellent water quality. Harry Flanagan, President, called the meeting to order at 9:36 a.m. & stated that we had a quorum. He then thanked everyone for coming. This is the 69 th. year of the GLA, having begun in 1949 - making it the longest running lake association in the state. Harry then asked to take a couple of moments to recognize the deceased over the past year: Marion Frazier, Jane Kirk, & Anne Bunce. Sally Ripley (secretary) ‘s report of 2017 was appropriately moved, seconded and approved. Next Harry introduced Jeremy Wilson from the Harris Center who took the floor. The HC is looking to preserve 2 parcels of land -some 515 acres above Little Granite Lake. This watershed section includes 2 headwater streams feeding Granite Lake. About 3 years ago a logging operation was responsible for some major siltation coming into the lake after heavy rains. Two of the Associations goals are controlling siltation and species, both plant and animal. Harris Center’s 3 main directives are these: environmental education, land conservation, & conservation research. It is attempting to raise $250,000. to purchase this land by Dec. 31, 2018. One of HC’s major goals is to preserve large tracts for wildlife and backcountry activities. Much of Silver Lake is already in conservation. 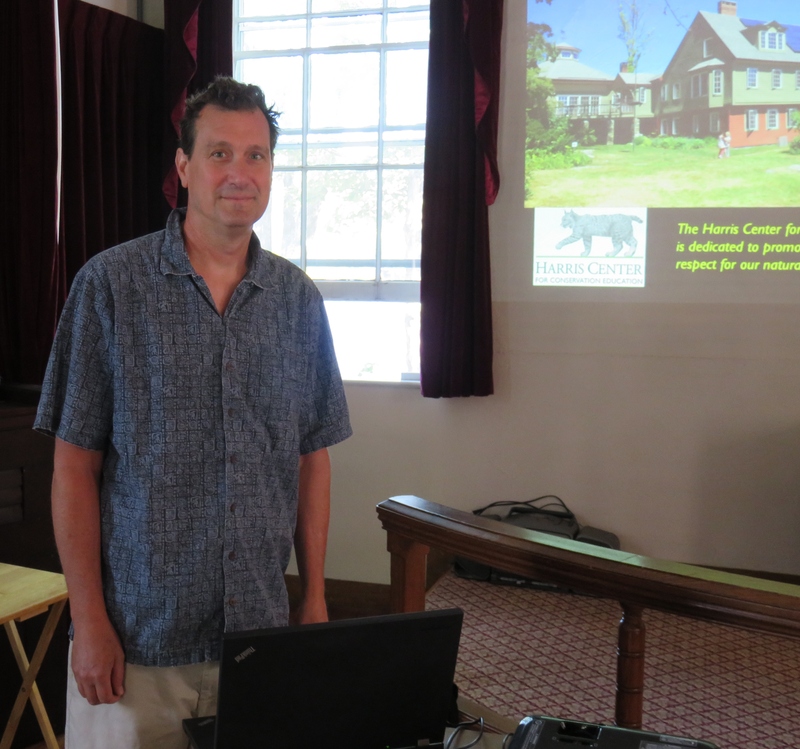 (80%) HC is working on getting a conservation easement on Fletcher Hill. Green Crow, a logging company, bought the land 5 years ago and has sold it to a conservation minded buyer who has extended the opportunity to purchase it to the Harris Center. The price is right - under $500/acre. HC is also hoping to get a grant from the state. Jeremy said that the HC does do a little logging but only for forest management or to fix a problem for animal habitat. Some wildlife has been seen there and includes black bear and moose. Any donation is tax deductible. Bob Kingsbury made a motion for the GLA to donate from its water quality account $1000.00. Membership thought it was a good use for the lake’s quality. The motion was appropriately moved and seconded; motion was approved. Tom Newcombe and Anita Flanagan worked together with John Edie from the NH Lakes Association to finally complete the 501c3 application. John was very helpful is walking them through ....had to re-apply as the original number we had was no longer valid. (We did get the 2nd. application fee back ) Our membership with NH Lakes has paid off several times, and they do the payroll for the Lake Host program too. Tom’s treasury report was also appropriately accepted. VLAP water samplings showed an increase in phosphorous and a decrease in clarity due to heavy rains last summer -1 storm of 5+ inches. Clarity was 8.7 meters before the storm and only 7 meters 3 weeks after the storm. The results are up on our website. This year an intern from the state was in the boat with Tom and had some additional equipment for plankton,etc. The impact from fireworks is also factor as they have lots of chemicals and metals, and the wrappers end up everywhere. Our website has been very busy while no one was really watching...64,745 visits in just a few years -that’s an average of 170/day. wow. At Granite Lake 792 boats in 2017. Also at Granite 381 boats so far this year, 166 motorized 195 non-motorized. 207 hours logged so far this year. Loons They came late and bred late, having had 1 chick on July 5 th., Everyone worried about the eagle and eagle nest being so near. Well, it has been abandoned. The loon preservation society agent came, collected the egg(shell), checked the bands...the male is banded. They said the biggest risk for loons is still lead poisoning. AED Bob Englund spoke about AED training again this year to be held by the Keene Family Y. Last year Peter Sebert did a wonderful job he said. The GLA will pay the $50/person so it is free for anyone to take it...a sign up sheet was passed around. Sandy Ferguson read the nominations for officers: Bill Steiniger, Pres. ; Tyke Lavigne, Vice Pres. ; Tom Newcombe, Treasurer; Sally Ripley, Secretary; Bob Maden, Member-at-Large; Dita Englund & Cayla Pagniucci, Membership/Newsletter; Mike Guida, Water Quality Chair. The slate was appropriately moved, seconded, and approved by membership. Beaver deceiver working well this year - siltation is good partly because no logging has been done in the area. Sally reported on change in the Granite Lake Village District status. We have been raised to a high risk dam with accompanying higher costs- higher dam membership fees, inspection every 2 years instead of 5, etc. We were raised due to house below the dam and generally more extreme weather events as are many dams. We still need to find a new dam engineer for repairs. (minor right now). Harry gave a nod to Cayla on the very nice job on the newsletter this year. Only 1 mistake to note, the Granite Lake Community Picnic will be held August 19 at 3. The Nelson Town Band will start at 4 pm and hopefully be able to set sail at 5 for its round-the-lake tour. Membership - 51 family memberships & 9 individual members....nowhere like it used to be. Several members have volunteered to go around the village and solicit new/renew memberships. Sharon O’Brien spoke about a tee shirt project in which she and Wendy Wollaeger designed and wish to sell - profits to benefit the GLA.The wording included the phrase “Meet Me at the Island” Granite Lake and a picture of pine trees Many members appeared to be enthusiastic; some had reservations. Mike Guida suggested members ask their neighbors if they were members and,if not, to discuss its benefits He also asked if members would be interested in an “ice out” contest for next winter. Patti Maden and Sharon O”Brien have stepped up to share the position of Lake Host coordinator for 2018/2019. Anita said that she would help get them started. 1 member asked if we could invest in a microphone for next year’s meeting. (there are battery powered ones available, I think) . Harry made a motion to donate $350. to the Chapel for use. seconded and approved. Motion to adjourn was appropriately seconded and approved. 11:20 a.m.